Online Enrollment: Click the enroll link and enter the promo code provided, then select your desired location. 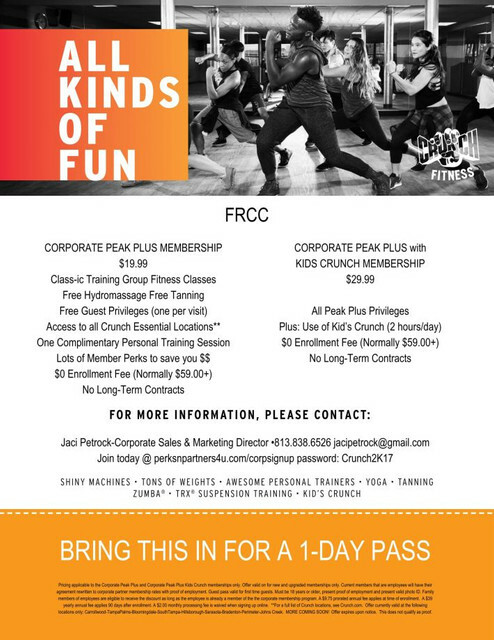 Offline Enrollment: Click on the brochure below to print (proof of FRCC membership) and take it to your desired location. For a list of participating locations Click Here.